Originally from Senegal, Mamadou Samba currently serves a Commissioner on the Executive Office of the Mayor’s Commission on African Affairs in Washington, DC and advises the Mayor, the Council and the Director on issues affecting African immigrants. Mamadou authored the District of Columbia’s first-ever State of the Africans in the District, a report aiming to raise the awareness of the challenges in diaspora communities, such as employment, education, and health. 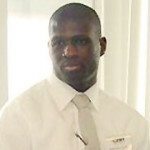 Prior to his appointment to the Commission on African Affairs, Mamadou Samba was selected to join the Capital City Fellows Program, a mayoral initiative to recruit highly qualified graduates of master’s degree students to work for the District of Columbia, where he worked in several areas, including Budgeting, Energy &Sustainability, and African Affairs. Mamadou earned a Master of Public Administration degree from the Kennesaw State University and a Bachelor of Political Science degree from the University of South Carolina – Aiken.